In “Earning It,’’ Joann S. Lublin combines her fascinating story with insightful tales from more than 50 women who reached the top of the corporate ladder in industries as diverse as retailing, high technology, automobiles, pharmaceuticals and publishing. Nearly two thirds of these women became chief executives of public companies. Ms. Lublin is a recently retired management news editor for The Wall Street Journal. She has worked with reporters in the U.S. and abroad to conceptualize and organize coverage of management and workplace issues. At the WSJ she covered and wrote stories about such topics as corporate governance, executive compensation, management recruiting and succession. She assumed her duties in December 2002. 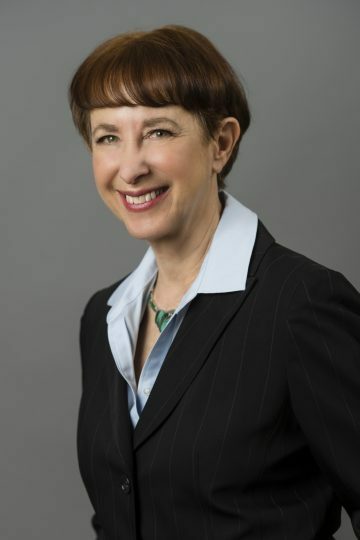 Ms. Lublin long served as contributing editor of the Journal’s annual special section on executive pay and still helps coordinate coverage of its yearly CEO pay survey. She previously was responsible for career coverage. In July 1971, Ms. Lublin joined the Journal as a reporter in San Francisco and transferred to Chicago in September 1973. She moved to Washington in April 1979, where she covered labor issues, housing and urban affairs and other beats. Named news editor of the Journal’s London bureau in January 1987, she became its deputy bureau chief in 1988. She transferred to New York in August 1990 as a senior special writer covering management. In August 1992, she became deputy management editor. In July 1993, she created the Journal’s “Managing Your Career” column. Between August 1992 and November 1995, she also helped edit enterprise articles and oversaw small-business coverage. In September 1998, Ms. Lublin helped initiate the Journal’s Your Career Matters page, later renamed Career Journal. She resumed writing the “Managing Your Career” column in April 2000 and became career news editor in July 2000. Her advice column “Your Executive Career” launched in August 2010. In 2003, Ms. Lublin was a member of a Journal team awarded the Pulitzer Prize in explanatory reporting for a series of stories that exposed corporate scandals, bringing them to life in compelling narratives. She has received other journalism awards as well including the 2018 Gerald Loeb Lifetime Achievement Award. Ms. Lublin frequently appears on TV and at conferences to talk about leadership, executive pay and corporate governance. A native of Dayton, Ohio, Ms. Lublin earned a bachelor’s degree in journalism with honors from Northwestern University. She received a master’s degree in communications from Stanford University. For availability and speaker fees, please contact Joann S. Lublin’s speaking agent at Chartwell here, or call +1 972 385 1021 for U.S. inquiries or +44 207 293 0864 for international inquiries.